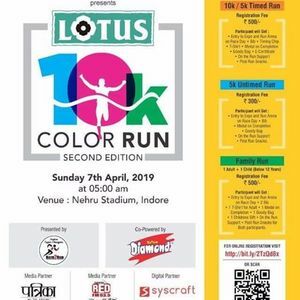 Family Run with Children’s Obstacle Course. RUN SUPPORT AND POST RUN SNACKS. RUN SUPPORT AND POST RUN SNACKS FOR BOTH PARTICIPANTS. 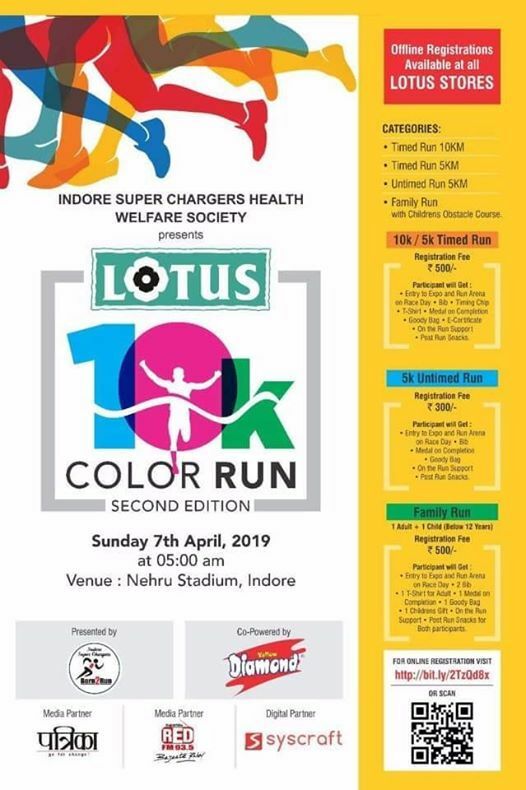 Lotus 10 K Color Run Indore Ticket by Indore Super Chargers, Sunday 7 April, 2019.